Today was a chance for me to repay some of the kindness that has been shown to me since my arrival here last November. I am a very patriotic Irishman and when someone asks me to tell them about Ireland I am only happy to oblige. 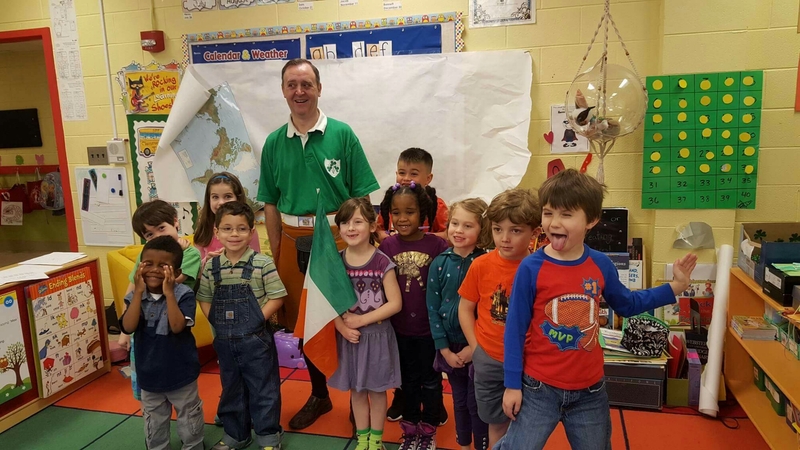 So when someone asks me to tell kindergarten children about Ireland I am even more happy to help out especially when the person asking is my wife’s friend and her daughter was an excellent flower girl at our wedding. So yesterday afternoon I got some stuff ready, pictures I had taken around Ireland to show of some of our beautiful country, some simple Irish phrases I could say to them, some Irish tunes and some facts and figures that they would understand. 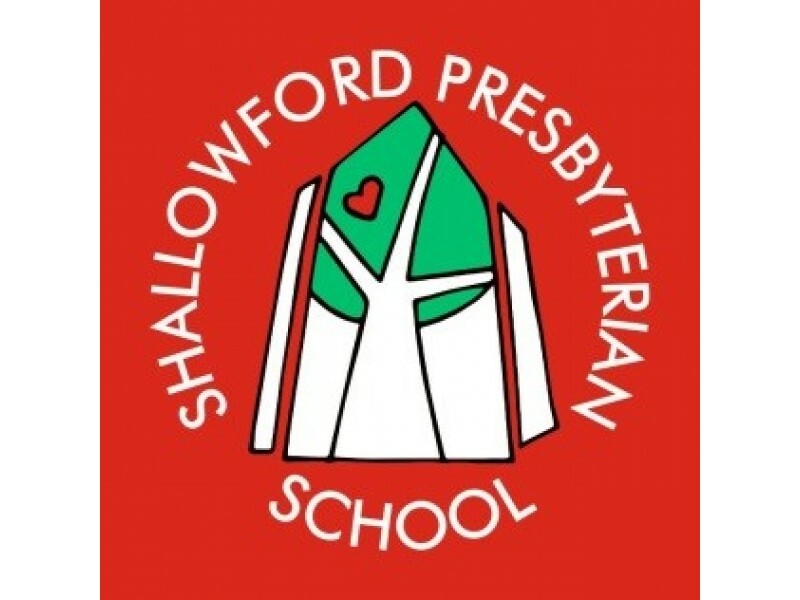 This morning I made my way to Shallowford Presbyterian School all ready. Oh did I forget to mention I had an Ireland rugby top on and my Irish kilt as well as a small Irish flag. 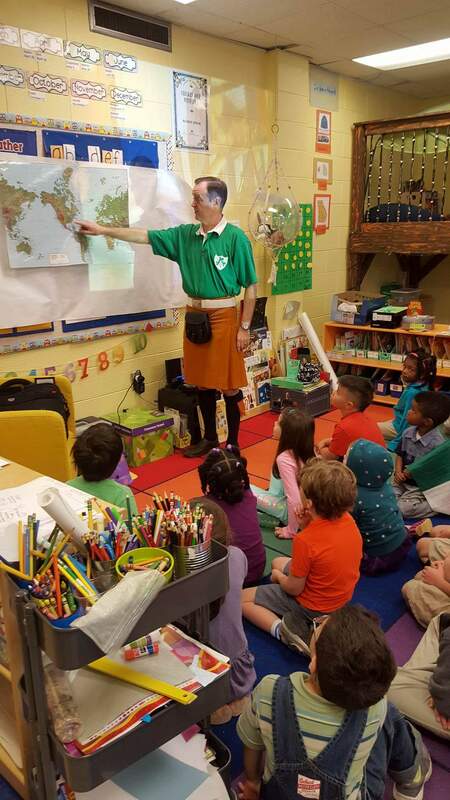 I am not a shy public speaker but this was different, adults will tell you to slow down if they don’t understand, I wasn’t sure the children would, but I need not have worried, they did tell me and off we went on a journey from Atlanta to Ireland via photos and facts. It was a great experience and one I would not hesitate to do again. After we were finished the children told me about their Leprechaun traps that they had made for St Patrick’s Day and I left them a small Irish flag to put in their display. Last but not least there was time for a photo with one class and to give them their final treat, green shamrock shaped cookies. I have to thank Maggie for asking to give the talk and to Charlotte for hosting and for all the children who were so interested and asked some great questions about Ireland and being Irish. It is not St Patty or Patty’s Day!